Great emphasis is placed upon providing a safe and secure environment for all of our students. 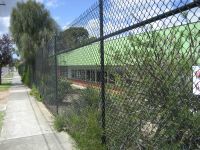 The 2.4 metre security fence was erected at the end of 2005 for two reasons. 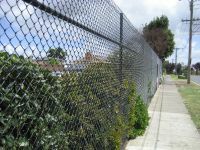 Firstly, it was to keep undesirables out of our school grounds on evenings, weekends and school holidays as the damage bill from incessant vandalism was significant. Secondly it was to provide students, parents and teachers with a stronger sense of security during school hours. 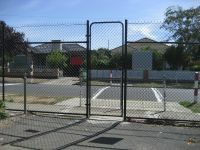 All gates apart from the pedestrian gate in front of the Office and the double gates for the Car Park are locked between the hours of 9.30 a.m. and 3.00 p.m. this means that all visitors to the school must enter from the front of the school where they can be monitored.